"This covenant will be called The Palestinian National Covenant (al- mithaq al-watani al-filastini). Article 1: Palestine is the homeland of the Palestinian Arab people and an integral part of the great Arab homeland, and the people of Palestine is a part of the Arab nation. Article 2: Palestine with its boundaries that existed at the time of the British mandate is an integral regional unit. Article 3: The Palestinian Arab people possesses the legal right to its homeland, and when the liberation of its homeland is completed it will exercise self-determination solely according to its own will and choice. Article 4: The Palestinian personality is an innate persistent characteristic that does not disappear, and it is transferred from fathers to sons. The Zionist occupation, and the dispersal of the Palestinian Arab people as a result of the disasters which came over it, do not deprive it from its Palestinian personality and affiliation and do not nullify them. Article 5: The Palestinians are the Arab citizens who were living permanently in Palestine until 1947, whether they were expelled from there or remained. Whoever is born to a Palestinian Arab father after this date, within Palestine or outside it, is a Palestinian. Article 6: Jews who were living permanently in Palestine until the beginning of the Zionist invasion will be considered Palestinians. [ For the dating of the Zionist invasion, considered to have begun in 1917]. Article 7: The Palestinian affiliation and the material, Spiritual and historical tie with Palestine are permanent realities. The upbringing of the Palestinian individual in an Arab and revolutionary fashion, the undertaking of all means of forging consciousness and training the Palestinian, in order to acquaint him profoundly with his homeland spiritually and materially, and preparing him for the conflict and the armed struggle, as well as for the sacrifice of his property and his life to restore his homeland, until the liberation of all this is a national duty. Article 8: The phase in which the people of Palestine is living is that of nation (watani) struggle for the liberation of Palestine. Therefore the contradictions among the Palestinian national forces are of secondary order which must be suspended in the interest of the fundamental contradiction between Zionism and colonialism on the one side and the Palestinian Arab people on the other. On this basis, the Palestinian masses, whether in the homeland or in places of exile (mahajir), organizations and individuals, comprise one national front which acts to restore Palestine and liberate it through armed struggle. Article 9: Armed struggle is the only way to liberate Palestine and is therefore a strategy and not tactics. The Palestinian Arab people affirms its absolute resolution and abiding determination to pursue the armed struggle and to march forward towards the armed popular revolution, to liberate its homeland and return to it [to maintain] its right to a natural life in it, and to exercise its right of self-determination in it and sovereignty over it. Article 10: Fedayeen action forms the nucleus of the popular Palestinian war of liberation. This demands its promotion, extension and protection, and the mobilization of all the masses and scientific capacities of the Palestinians, their organization and involvement in the armed Palestinian revolution and cohesion in the national (watani) struggle among the various groups of the people of Palestine, and between them and the Arab masses, to guarantee the continuation of the revolution, its advancement and victory. Article 11: The Palestinians will have three mottoes: national (wataniyya) unity, national (qawmiyya) mobilization and liberation. Article 12: The Palestinian Arab people believes in Arab unity. In order to fulfill its role in realizing this, it must preserve, in this phase of its national (watani) struggle, its Palestinian personality and the constituents thereof, increase consciousness of its existence and resists any plan that tends to disintegrate or weaken it. Article 13: Arab unity and the liberation of Palestine are two complementary aims. Each one paves the way for the realization of the other. Arab unity leads to the liberation of Palestine and the liberation of Palestine leads to Arab unity. Working for both goes hand in hand. Article 14: The destiny of the Arab nation, indeed the very Arab existence, depends on the destiny of the Palestine issue. The endeavor and effort of the Arab nation to liberate Palestine follows from this connection. The people of Palestine assumes its vanguard role in realizing this sacred national (qawmi) aim. Article 15: The liberation of Palestine, from the Arab viewpoint, is a national (qawmi) duty to repulse the Zionist, Imperialist invasion from the great Arab homeland and to purge the Zionist presence from Palestine. Its full responsibility falls upon the Arab nation, peoples and governments, with the Palestinian Arab people at their head. For this purpose, the Arab nation must mobilize all its military, human, material and spiritual capacities to participate actively with the Palestinian people in the liberation of Palestine. They must, especially in the present stage of armed Palestinian revolution, grant and offer the people of Palestine all possible help and every material and human support, and afford it every sure means and opportunity enabling it to continue to assume its vanguards role in pursuing its armed revolution until the liberation of its homeland. Article 17: The liberation of Palestine, from a human viewpoint will restore to the Palestinian man* his dignity, glory and freedom. For this, the Palestinian Arab people looks to the support of those in the world who believe in the dignity and freedom of man*. Article 18: The liberation of Palestine, from an international viewpoint, is a defensive act necessitated by the requirements of self-defense. For this reason the Arab people of Palestine, desiring to befriend all peoples, looks to the support of the states which love freedom, justice and peace in restoring the legal situation to Palestine, establishing security and peace in its territory, and enabling its people to exercise national (wataniyya) sovereignty and national (qawmiyya) freedom. Article 19: The partition of Palestine in 1947 and the establishment of Israel is fundamentally null and void, whatever time has elapsed, because it was contrary to the wish of the people of Palestine and its natural right to its homeland, and contradicts the principles embodied in the Charter of the UN, the first of which is the right of self determination. Article 20: The Balfour Declaration, the Mandate document, and what has been based upon them are considered null and void. The claim of a historical or spiritual tie between Jews and Palestine does not tally with historical realities nor with the constituents of statehood in their true sense. Judaism, in its character as a religion of revelation, is not a nationality with an independent existence. Likewise, the Jews are not one people with an independent personality. They are rather citizens of the states to which they belong. Article 22: Zionism is a political movement organically related to world Imperialism and hostile to all movements of liberation and progress in the world. It is a racist and fanatical movement in its formation: aggressive, expansionist and colonialist in its aims; and fascist and Nazi in its means. Israel is the tool of the Zionist movement and a human and geographical base for world Imperialism. It is a concentration and jumping-off point for Imperialism in the heart of the Arab homeland, to strike at the hopes of the Arab nation for liberation, unity and progress. Article 24: The Palestinian Arab people believes in the principle of justice, freedom, sovereignty, self-determination, human dignity and the right of peoples to exercise them. Article 25: To realize the aims of this covenant and its principles the Palestine Liberation Organization will undertake its full role in liberating Palestine. Article 26: The Palestine Liberation Organization, which represents the forces of the Palestinian revolution, is responsible for the movement of the Palestinian Arab people in its struggle to restore its homeland, liberate it, return to it and exercise the right of self-determination in it. This responsibility extends to all military, political and financial matters, and all else that the Palestinian issue requires in the Arab and international spheres. Article 27: The Palestine Liberation Organization will cooperate with all Arab states, each according to its capacities, and will maintain neutrality in their mutual relations in the light of and on the basis of, the requirements of the battle of liberation and will not interfere in the internal affairs of any Arab State. Article 28: The Palestinian Arab people insists upon the originality and independence of its national (wataniyya) revolution and rejects every manner of interference, guardianship and subordination. Article 29: The Palestinian Arab people possesses the prior and original right in liberating and restoring its homeland and will define its position with reference to all states and powers on the basis of their positions with reference to the issue [of Palestine] and the extent of their support for [the Palestinian Arab people in its revolution to realize its aims. Article 30: The fighters and bearers of arms in the battle of liberation are the nucleus of the popular army, which will be the protection arm of the gains of the Palestinian Arab people. Article 31: This organization shall have a flag, oath and anthem, all of which will be determined in accordance with a special system. Article 32: To this covenant is attached a law known as the fundamental law of the Palestine Liberation Organization, in which is determined the manner of the organization's formation, its committees, institutions, the special function of every one of them and all the requisite duties associated with them in accordance with this covenant. 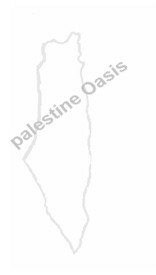 Article 33: This covenant cannot be amended except by a two-thirds majority of all the members of the National Assembly of the Palestine Liberation Organization in a special session called for this purpose. *: I believe this is a mutilated translation of the Arabic insaan which means human-being.